Choose a sunny spot and sow seed thinly outdoors in drills (straight shallow grooves) made 30cm (12") apart and then covered with about 1.25cm (½") of soil. 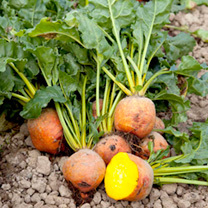 For general use, sow at regular intervals late April-early June. Thin out seedlings to 5-7.5cm (2-3") apart. Harvest June-December. Twist tops to remove - cutting induces 'bleeding' of messy sap. HEALTH BENEFITS: Known to boost the body's immune system. Roots rich in potassium and folate plus some vitamin C (Anti-ageing, wound healing, decreasing blood cholesterol and prevention of infections. Assists the body in absorbing iron). 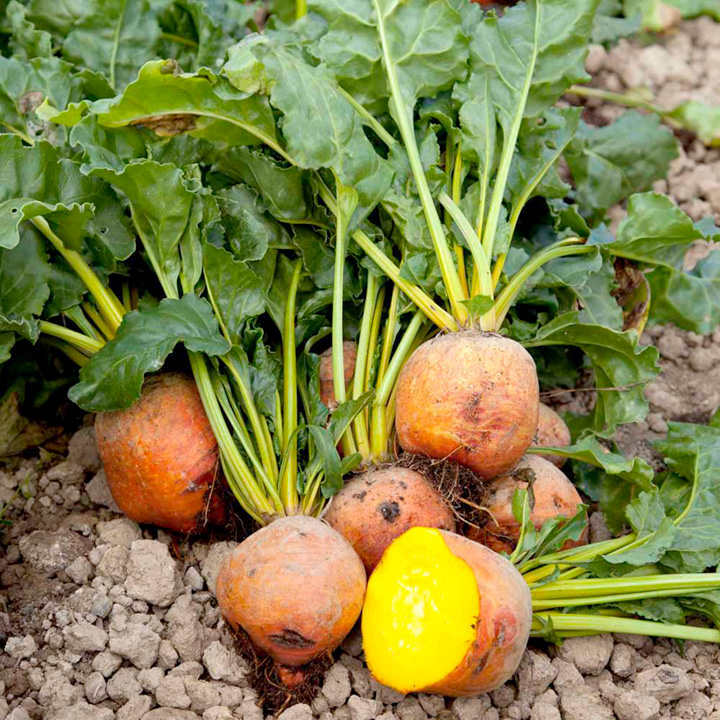 Tops rich in beta carotene, calcium and iron. COOKING HINTS: Retain leaf stalk and root. Boil from ¾ to 2 hours (depending on size) in salted water. Remove skin and cool for fresh use or pickling. Boiling can actually increase the nutrient value, pickling reduces it. Use tops of young roots as for spinach.